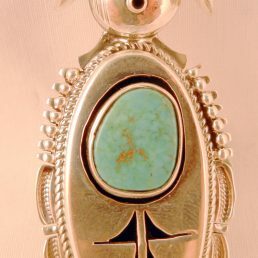 Statement men’s turquoise rings are proudly featured at Albuquerque’s preferred dealer of authentic Native American Indian jewelry, Palms Trading Company. 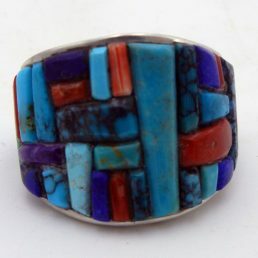 These intricately designed rings are handcrafted by artists from the Navajo, Santo Domingo and Zuni Pueblos. 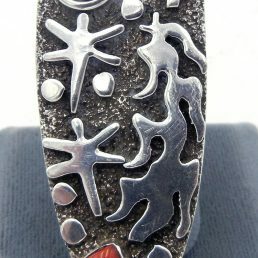 Known for their excellent silver hand stamping and overlay work, our collection of men’s rings is unlike any other selection in the world. 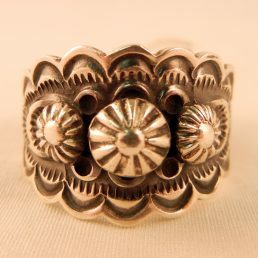 Every ring is carefully detailed using cultural techniques that have been passed down from generation to generation. 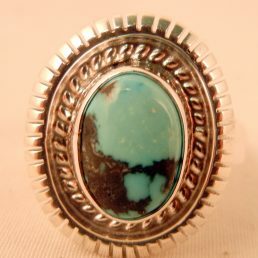 Though all three Pueblos use turquoise stones, differences in gem size, silver work, and design make each of these men’s turquoise rings a one-of-a-kind piece of art. Speak with one of our personal shoppers to learn more about the diverse materials, color palates, and patterns commonly used to create both traditional and contemporary styled pieces. 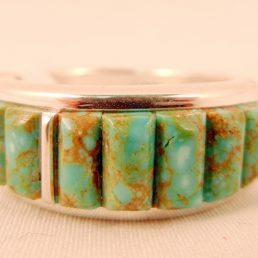 Whether you want a subtle turquoise ring to complement your style or a daring piece of jewelry that will always turn heads, Palms Trading Company has an item for every man’s taste. 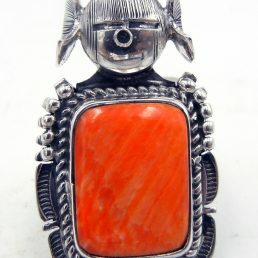 Add a touch of Southwest culture to your style with a refined piece of Native American Indian jewelry. 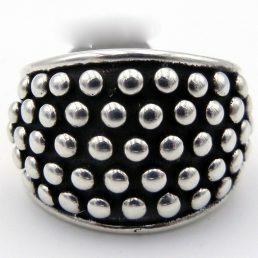 Our vast array of remarkably designed men’s necklaces, rings and bracelets are handsome additions to any man’s wardrobe. 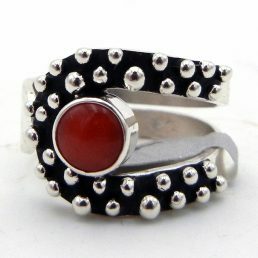 Authentic and affordable, every item in our collection has been handcrafted using centuries-old techniques. 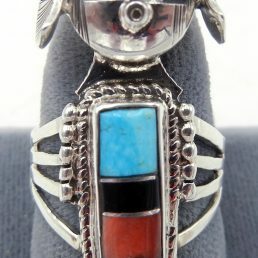 Find an unrivaled selection of men’s turquoise rings and other Native American jewelry at Albuquerque’s world-renowned marketplace, Palms Trading Company.